He genuflected before the empire and regarded ‘Kaffirs’ with open racism. Meet Mohandas Gandhi in South Africa. The Indian National Congress has for much of its life been a profoundly conservative mov­e­­ment. 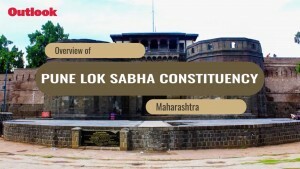 As a result, the Indian state we see today—with its governors, ordinances, inspector-generals and flag marches—is in large part a continuation of the colonial state. Gandhi was an early believer in imperialism. “We fully realise the blessing of the munificent British rule,” he told the Duke and Duchess of Cornwall on a visit to Durban in 1901. “The great British Empire has not risen to its present proud position by methods of oppression,” he said five years later. 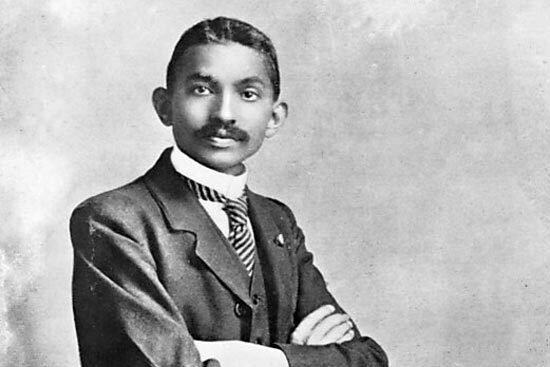 Even when he left South Africa after two decades in 1914, he was publicly praised for his imperial loyalty, and congratula­ted himself that not only Indians but “white people, too, made an excellent demonstration of their affection”. Aruna Asaf Ali may have been right in saying that what India saw in 1947 was “not revolutionary transformation at all”, but rather a transfer of power. From this distance of time, it seems extraordinary that Gandhi and so many other select Indians felt allegiance to a foreign government. But British imperialism was built on the coopt­­ing of local rulers and elites. Gan­dhi’s aim was to match the dominant racial narrative by asserting that ‘Indo-­Aryans’ should be considered equal to “their Anglo-Saxon brethren”. The colonised Africans, in Gandhi’s view, should not even be allowed to live near his people. “About this mixing of the Kaffirs with the Indians, I must confess I feel most strongly,” he wrote to the municipal authorities in Johannesburg, stating the council “must withdraw the Kaffirs from the location”. Ashwin Desai and Goolam Vahed are South African academics, and they suggest that Gandhi’s complexities have been “smothered to serve the political expediencies of the day”. They quote, for example, President Thabo Mbeki’s claim that Gandhi “used his extraordinary energies to fight racism”, and Nelson Mandela’s belief that “he taught that the destiny of the Indian community was inseparable from that of the oppressed African majority”. With great precision, The South African Gandhi: Stretc­her-Bearer of Empire goes back to first principles and documents what he did and said, free of the prism of his conventional image and the privileged nationalist apologetics of Congress. Their assertion is that “Gandhi sought to ingratiate himself with Empire and its mission” not in an ahistorical context, but in “a land that was witness to three centuries of unremitting conquest, brutality and racial bloodletting”. Although Desai and Vahed’s theoretical argument is controversial, it is backed by evidence and careful res­earch. It will no longer be possible to look at the Mahatma’s South African years without considering his role as a stretcher-bearer of Empire.